Four days after the majority of the Washington County Board of Education voted to support and make public Order 01, 2016, an Ethics Advisory Panel decision that found Washington County Board of Education member Mike Guessford in violation of multiple ethical regulations, Washington County Republicans were seen warmly embracing the ethically guilty Guessford at the opening of its county GOP headquarters. 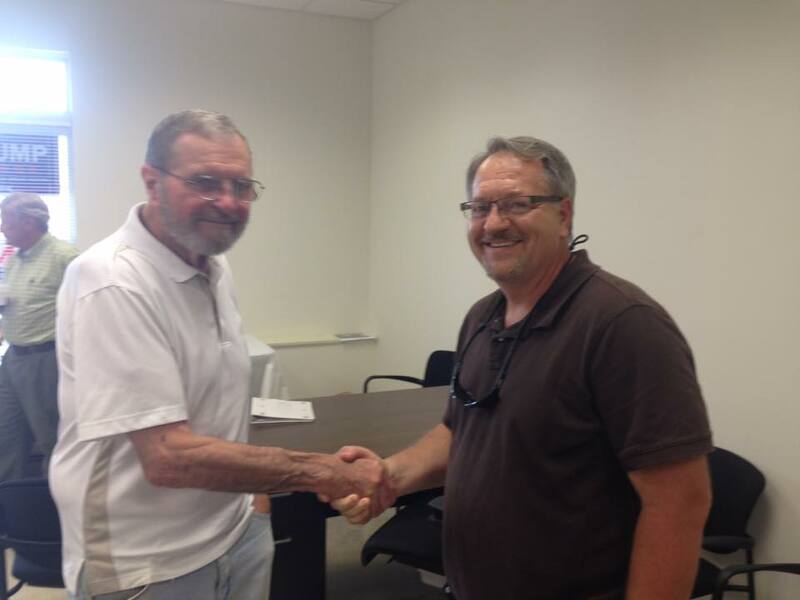 Guessford is an active Republican in Washington County Republican circles. Below is a photograph of Guessford today, Saturday, September 10, during a ribbon-cutting ceremony for the grand opening of the Washington County GOP campaign headquarters at 5 East Oak Ridge Drive, just outside of City of Hagerstown borders. The independent Ethics Advisory Panel considered the information I provided last year and subsequently reviewed Guessford’s ethics disclosure forms. After several months of careful analysis and review, the Ethics Panel concluded that Guessford did not recuse himself as a Board member from voting on contracts that directly benefited himself and his business partner, Milton Stamper. Moreover, the Panel found that since taking office in December 2014, Guessford unambiguously failed to disclose that his business, Applause Caterers, benefited financially from doing business with Washington County Public Schools on at least five separate occasions, totaling over $1700.00. With Donald Trump as the Republican nominee, we already know that many Republicans, the alt-right movement, and Trump sycophants have a slipshod view of what constitutes as proper “ethics.” [See Mike Guessford]. Guessford apparently doesn’t have time to return Herald-Mail reporters’ phone calls seeking comment, but showing up to a very public Republican event – four days after the Board of Education voted to support an unprecedented Ethics Advisory Panel opinion and order, finding him in violation of multiple ethics regulations – is, in Mike Guessford’s mind, worthy of a public appearance. Mike Guessford can show up to a partisan Republican event on a Saturday morning but cannot find the time to show up to Board of Education business meetings – you know, the job that Washington County voters only two years ago hired him to do. But wait: Mike Guessford couldn’t attend last Tuesday’s Board business meeting because he was too busy indulging on a second helping of Ocean City’s finest boardwalk Thrasher french fries. 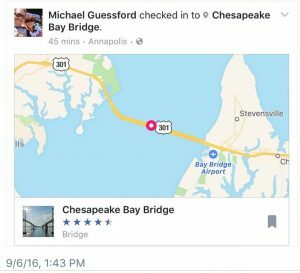 The ethically encumbered Board member was even shown to be Facebooking his Chesapeake Bay Bridge location around the same time Tuesday’s Board of Education meeting kicked off, at 1:00 p.m.
It’s even more puzzling that the Washington County Republican Club and Republican Central Committee are openly embracing Stan Stouffer, Melissa Williams and Linda Murray – the same slate endorsed by the leftwing liberal Washington County Teachers’ Association. 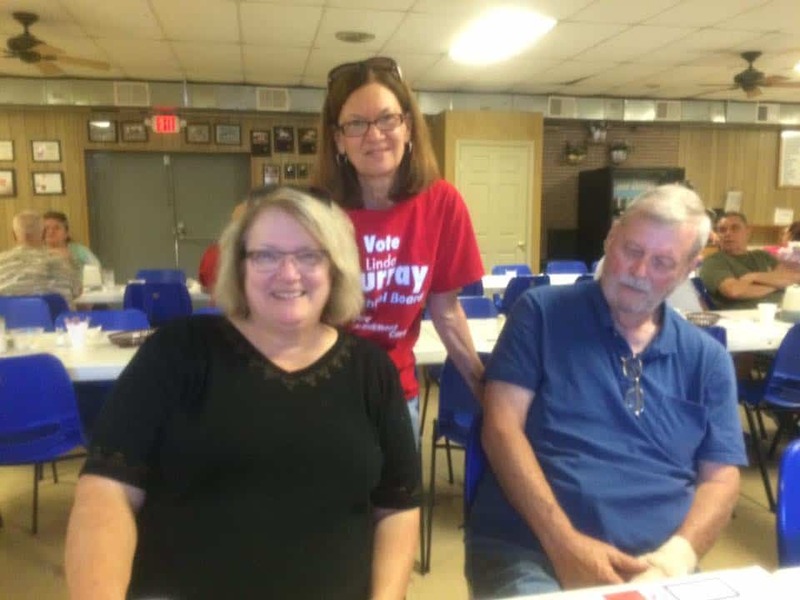 Ms. Murray is a strong supporter of Common Core State Standards; Stan Stouffer is a disgraced former teacher and disgruntled former Athletic Director; and Melissa Williams is the Union’s second favorite ally on the Board of Education, carrying the water for a majority of the Union’s most outrageous and budget-crushing initiatives. With friends like the Washington County Republican Club and the Republican Central Committee, beware Washignton County Public Schools.